Summer is here and it’s time to get out and ride! 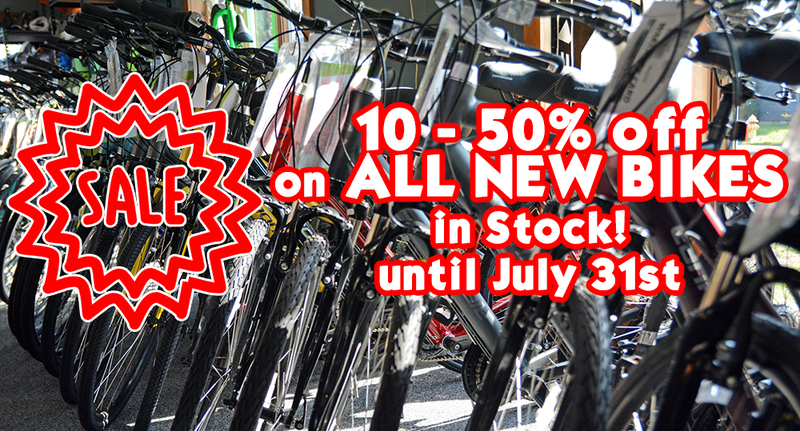 Smitty’s makes hitting the bike trails easy with our HUGE sale on ALL NEW bikes in stock! Stop by until July 31st and save up 10-50% on a new set of wheels! And don’t forget to check out our page about the Piqua Bike Path to pick out a great trail to take your new bike on.